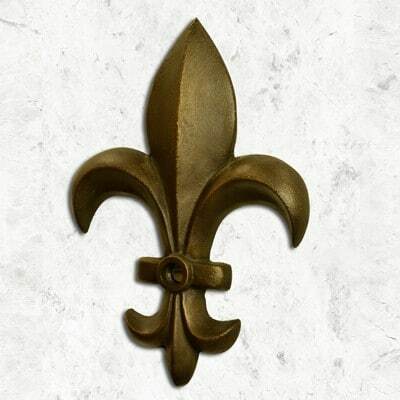 With 100% cast bronze, the Fleur de Lis Emitter takes its form from nature. Fleur de lis literally means lily flower in French. The Fleur de Lis reigns as a royal emblem in Europe appearing on a multitude of coats of arms and flags. The lily flower design is abundant in friezes, cornices, and atop fence pickets as a defensive decoration. With roots dating back to the old world, the Fleur de Lis cast bronze emitter is just as relevant in today’s contemporary fountain, spa, and pool design schemes. Its timeless design and presentation make it an ideal water feature for any architectural and/or outdoor living, pool, spa, and fountain design.